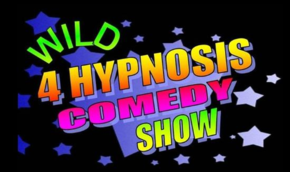 Your friends and family will be on the edge of their seats waiting to see what happens next at the Wild 4 Hypnosis Fusion Show – it’s a high-energy rock n’ roll interactive variety comedy hypnosis show that uses audience participation to fuel the fun. Friends & Family Members could turn into contestants on Dancing with the Stars, have napkin fights, ride a simulated roller coaster and even enjoy some amazing fishing adventures. You may even see a special appearance by Taylor Swift, Garth Brooks, Elton John or Even Elvis. Men could turn into bikini models, Women could turn into body-builders, the stars may even think someone just passed gas and so much more. 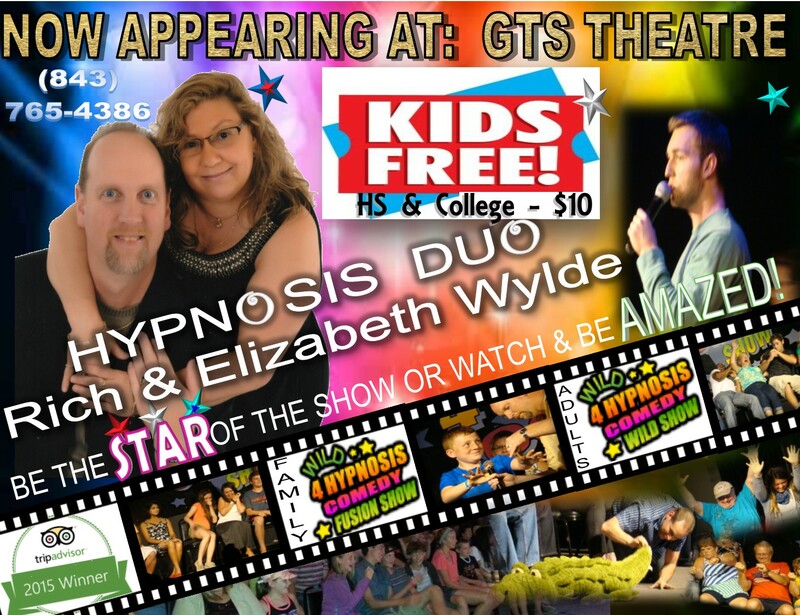 This Award winning 90 Minute No Intermission hypnosis Show is packed with fun & laughs for all ages! Get ready to have the time of your life and laugh like you have never laughed before! My husband and I went to the Fusion Show the other night and it was fantastic. 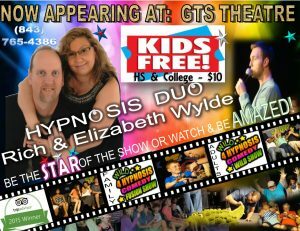 I was a volunteer to get hypnotized and my husband watched the show. I had a great time and they were amazingly funny. My husband said that he laughed so hard that he was crying! All he keep on saying was were are seeing this again…and I can’t wait! After the show Rich and Elizabeth Wylde (the hypnotists) were there for comments/questions and to get to know the people from the audience. They were so charming, funny, and likeable. You can tell that they are REAL people doing something they LOVE and it is great to see. Would recommend this show to anyone that wants to have a GREAT TIME!